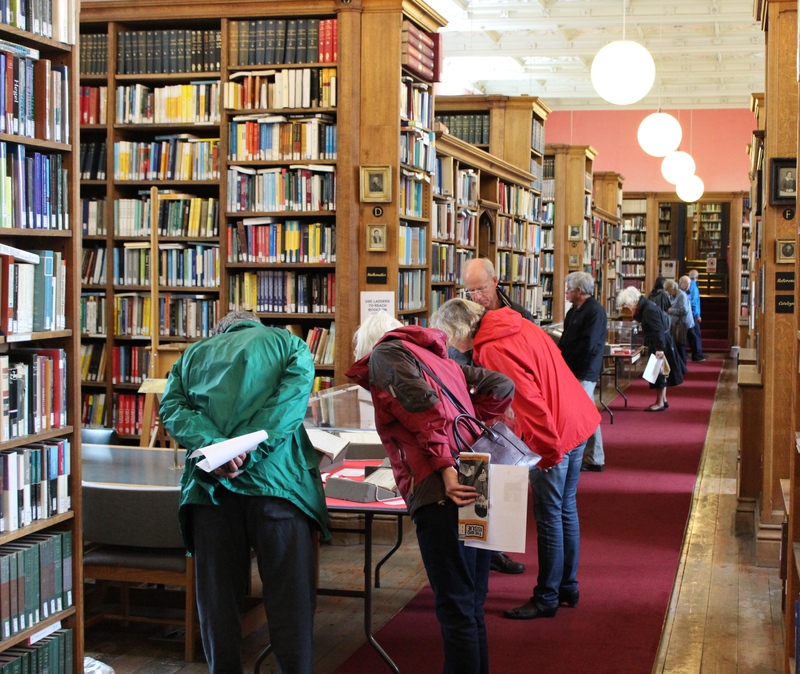 Last month, King’s College Library and Archives hosted an exhibition for the Open Cambridge weekend as part of the events marking the 400th anniversary of Shakespeare’s death. 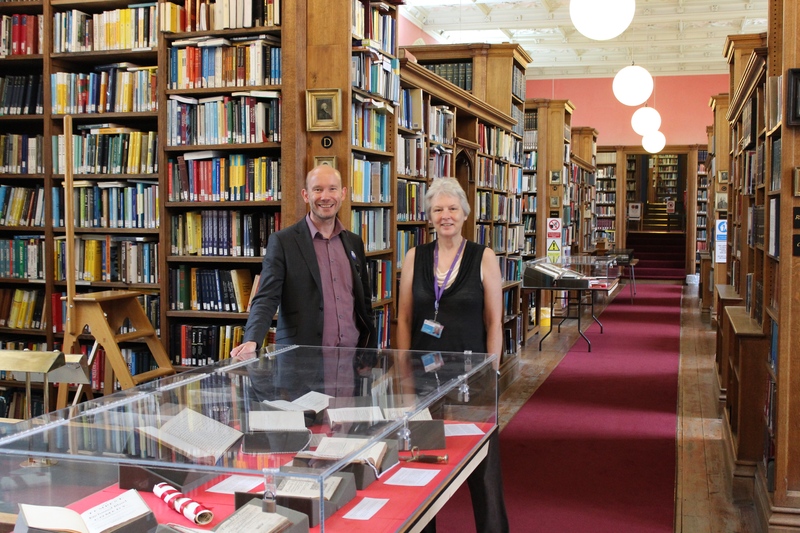 The exhibition, held on 9 and 10 September, showcased scarce editions of Shakespeare’s plays alongside other treasures from the special collections in the College Archive celebrating theatre and the history of theatre in Cambridge. 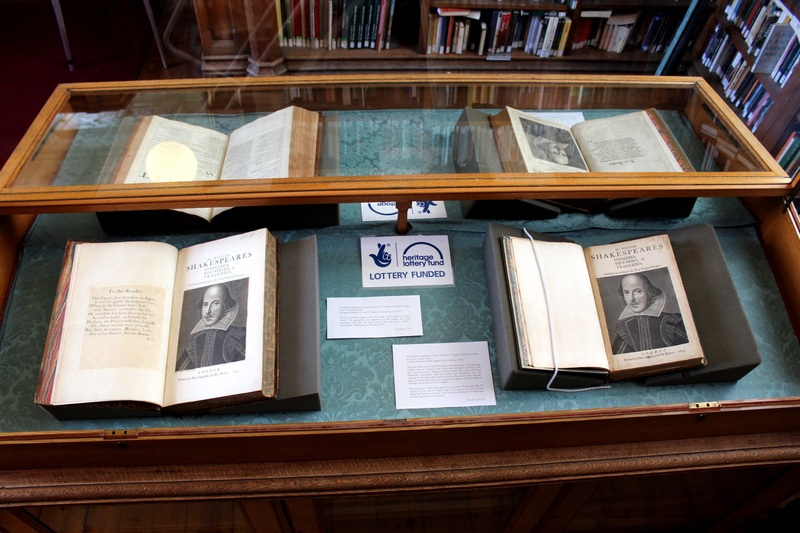 Below are some selected highlights from the exhibition focusing on early editions of Shakespeare’s works. 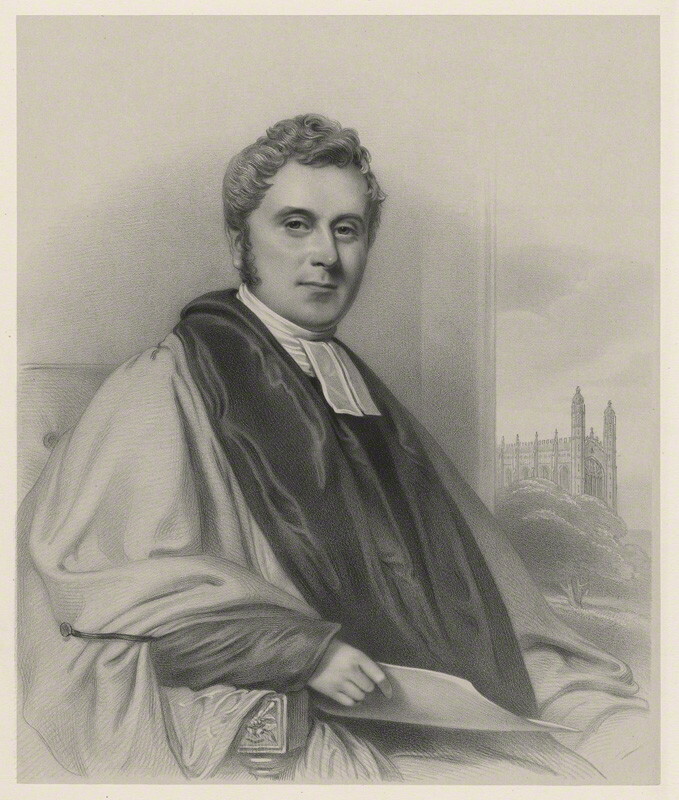 The Fourth Folio included seven additional plays: Pericles, Prince of Tyre; Locrine; The London Prodigal; The Puritan; Sir John Oldcastle; Thomas Lord Cromwell; and A Yorkshire Tragedy. 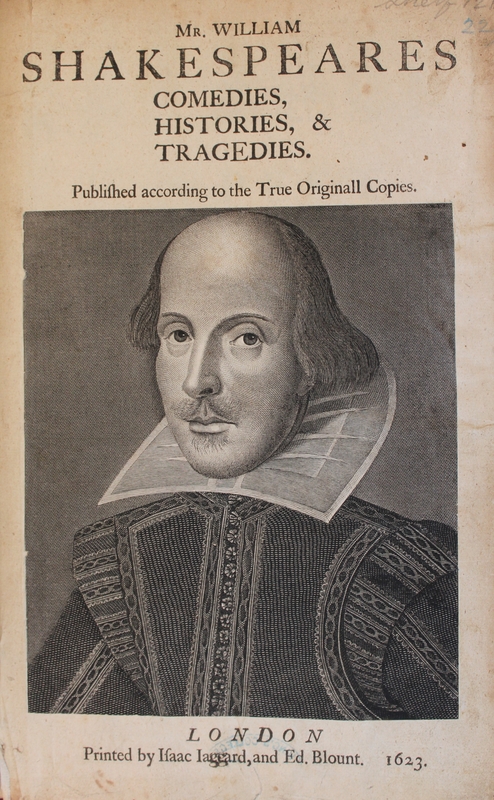 All of these had been printed as quartos during Shakespeare’s lifetime, but only Pericles is now seriously considered to have any Shakespearean connection. The front board of this copy was completely detached; it was repaired in August 2016 thanks to the grant from the Heritage Lottery Fund. 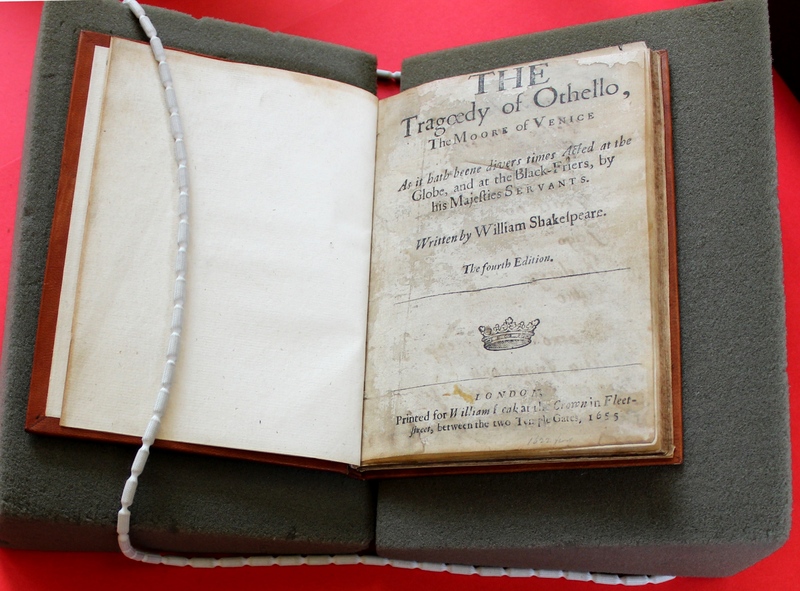 Below is a copy of the fourth edition of Othello. 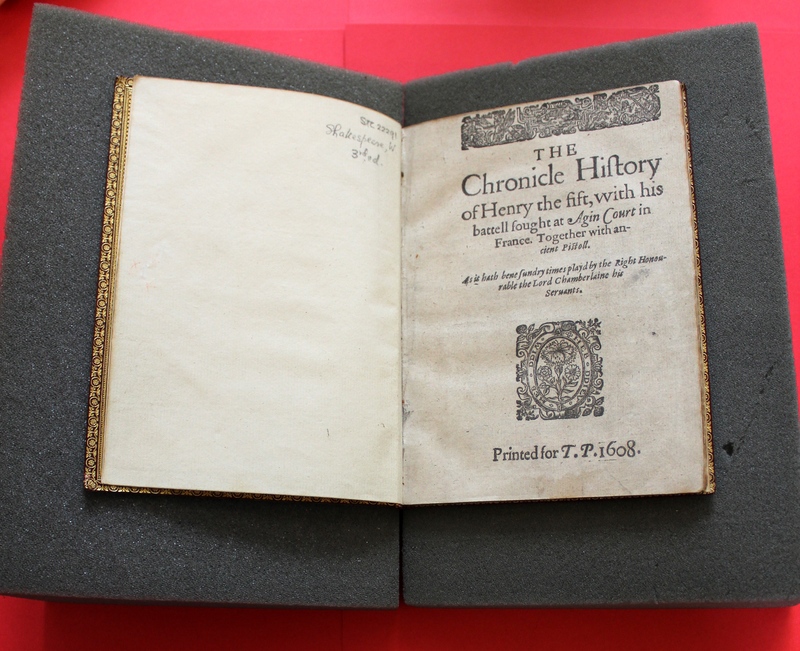 The play was entered into the Stationers’ Register on 6 October 1621 by Thomas Walkley, and the first quarto was printed by him in 1622. 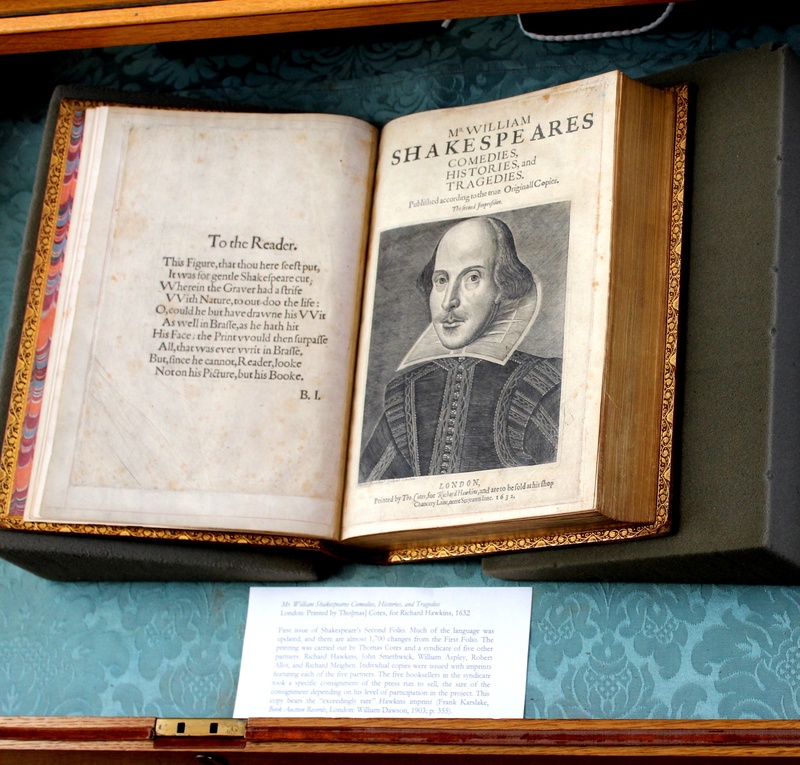 Our Shakespeare season culminated in a public lecture on the First Folio by a leading world expert, Professor Emma Smith (Hertford College, Oxford) on 3 October 2016. 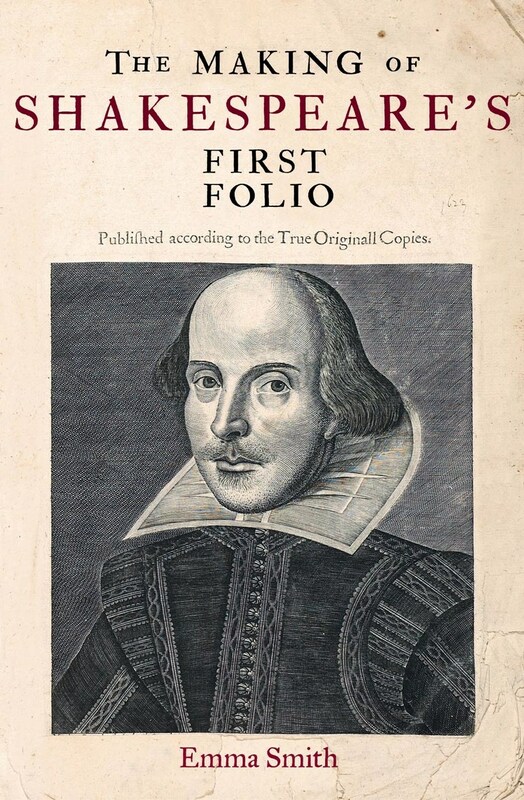 Professor Smith’s talk took the captive audience into the First Folio, and investigated the clues it gives us about Shakespeare’s writing methods, the early modern theatre, and the development of the Shakespeare brand. 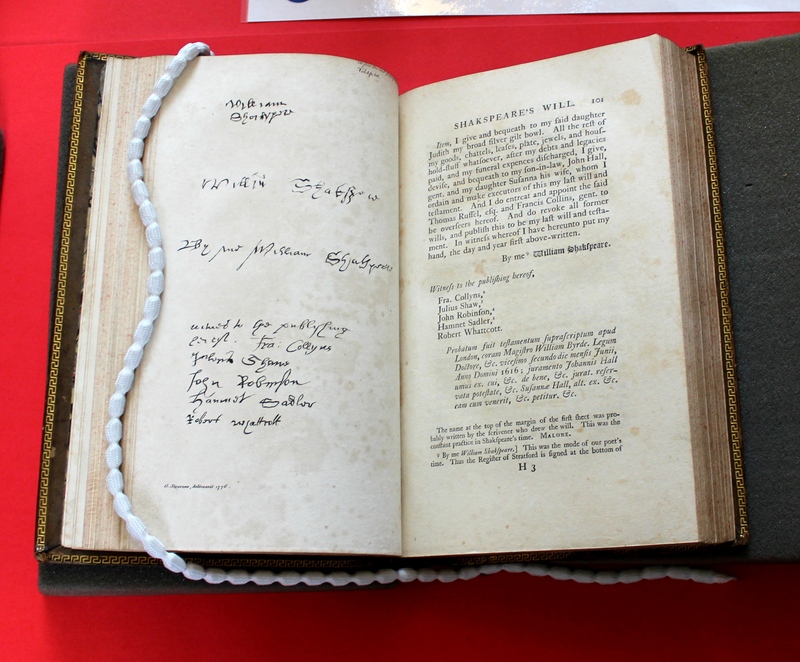 Our series of events marking the quatercentenary of Shakespeare’s death culminates in a public lecture on Shakespeare’s First Folio by a leading world expert, Professor Emma Smith (Hertford College, Oxford), author of Shakespeare’s First Folio: Four Centuries of an Iconic Book (2016) and The Making of Shakespeare’s First Folio (2015). The lecture will be held in the Audit Room at King’s College, Cambridge on Monday 3rd October 2016 at 6pm. 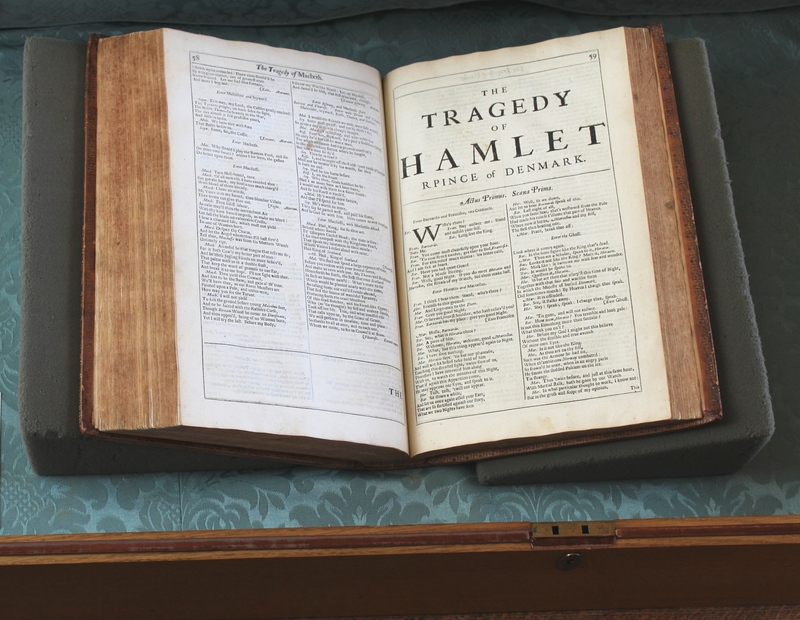 Those attending the lecture are invited to visit King’s College Library to view the First Folio from the Thackeray Bequest between 5pm and 6pm on 3rd October and after the talk. We look forward to seeing you there!